The post Teach Your Dog to Respond to Cues — Successfully by Victoria Stilwell appeared first on Dogster. Copying over entire articles infringes on copyright laws. You may not be aware of it, but all of these articles were assigned, contracted and paid for, so they aren’t considered public domain. However, we appreciate that you like the article and would love it if you continued sharing just the first paragraph of an article, then linking out to the rest of the piece on Dogster.com. “Sit! Sit! Sit!” Have you ever asked your dog to sit and when she doesn’t respond you repeat the cue again and again, getting louder and louder each time you say it? If you think she hasn’t heard you or she’s being stubborn by not responding, you’re not alone. “Sit! Sit! Sit!” seems to have become a very popular cue, but by repeating the word you’re actually teaching your dog a delayed sit. Instead of your dog sitting the first time you ask her to, the vocal cue has now become “Sit, sit, sit,” and this is not usually a problem until you’re in a situation that requires your dog to respond immediately. How can you and your dog understand each other? Photography ©momcilog | Getty Images. Vocal and physical cues are the perfect way to build up a language of communication with your dog, but a lot can get lost in translation, and even simple cues and signals can be misinterpreted. Speaking dog is all about making it easier for your dog to understand you as well as taking the time to understand your dog. It begins by creating a bond through play, having fun and making sure you and your dog have good experiences together, while vocal and physical language can be used to bridge the human/canine divide. Some dogs find understanding human language a lot harder than others. If your dog has difficulty responding to your cues, try changing how you teach her. Even though most dogs are good at following human communicative gestures, for example, your dog might not understand what your pointed finger means. However, if you say your dog’s name, look at her and then look toward where you’re pointing, she’s more likely to comprehend what you want her to do. Is your dog having difficulty picking up on cues? You might have taught your dog to sit in the home, for example, but this doesn’t mean she will generalize that behavior to other environments. You need to teach her the same cue in as many different environments as you can, so the cue and response becomes fluent regardless of where she is. 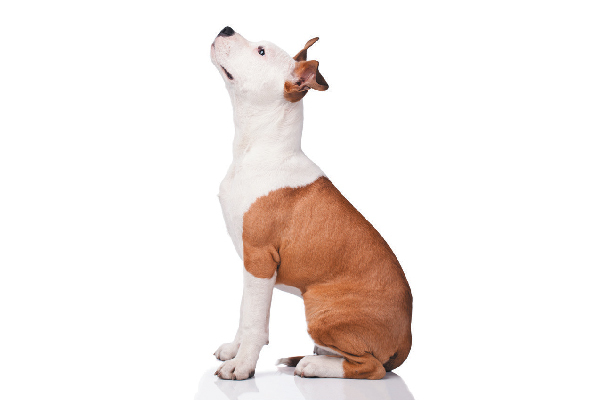 Even though dogs respond well to vocal cues, using your body language to communicate is very effective. Active hand and body signals are cues that can be paired with actions and behaviors, while passive behavior, such as simply turning your back and ignoring your dog’s unwanted behavior, can be more effective than shouting and yelling at her when she is doing something you don’t like (as long as your dog isn’t trying to tell you something important!). Your personality has a dramatic effect on your dog’s behavior. Because dogs have adapted to read human signals, they’re extremely sensitive to our attentional and emotional states. The more extroverted you are, the more attentive your dog is likely to be, but if you have a more introverted personality that inhibits your communicative abilities, your dog might struggle to understand you. Some studies have shown that people who are less confident and less independent-minded have dogs with more behavioral problems. People who are shy, anxious, tense or aggressive may also induce nervousness, anxiety and aggression in their dogs. Neurotic or lazy owners tend to have dogs who are less responsive, while conscientious handlers have dogs who are easier to teach. The fewer corrections a person gives their dog, the more responsive she will be. Be clear with your cues! Be clear with the gestures and vocal cues that you use. Talk to your dog all you like when you are just having a conversation with her, because even though she might not understand what you are saying, she will certainly recognize the tone and pitch of your voice. However, when you are asking her to respond to a vocal cue, use a simple cue word to pair with an action, which will make it easier for her to understand what you need her to do. Some gestures that mean one thing to a person might be interpreted completely differently by a dog, especially if that person is a stranger. Hugging, bending over to greet, petting a dog on the head, sustaining eye contact and kissing can all be threatening if the dog doesn’t enjoy close social contact. Greeting a new dog by allowing her to come into your space, smelling your hand and only petting her if she invites you to, will help her become a lot more comfortable in your presence. Tell us: What helps your dog understand your cues? Thumbnail: Photography ©alphaspirit | Getty Images.